Lyle is a published and sought-after speaker and advisor to educators, corporate leaders, athletic teams, and non-profit organizations. In his role at the Flippen Group and throughout his professional career, Lyle’s goal has been to equip and encourage others. His focus is growing high performers, maximizing leaders, and multiplying the influence of all the individuals he engages. He holds bachelor’s degrees from Colorado State and Palm Beach Atlantic University as well as a master’s degree from the University of Colorado. Lyle was a Colorado school administrator at two nationally-recognized high schools, coached multiple State Championship teams, and spent more than a decade as a classroom teacher. 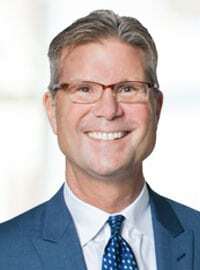 He was athletic director and head basketball coach for Palm Beach Atlantic University’s nationally-ranked basketball team, receiving the National Coach of the Year award, and has been a senior leader for successful business ventures. Lyle and his wife, Ronda, reside in College Station, Texas with their two children – Michael and Jordan. Master’s degree, University of Colorado. National Coach of the Year award while head basketball coach at Palm Beach Atlantic University.